As a major sponsor of the 2011 Rugby World Cup, Emirates Airlines needed the Auckland International Airport Emirates Lounge to be fully operational within a tight deadline. The new 1,028sqm Emirates Auckland Lounge needed to live up to Emirates’ exacting worldwide standards, with an overall impression of timeless quality combined with a sense of quiet and relaxation. The layout, detailed planning and documentation for the Auckland Lounge was carried out by Ignite Interiors, in close collaboration with Ignite ME. 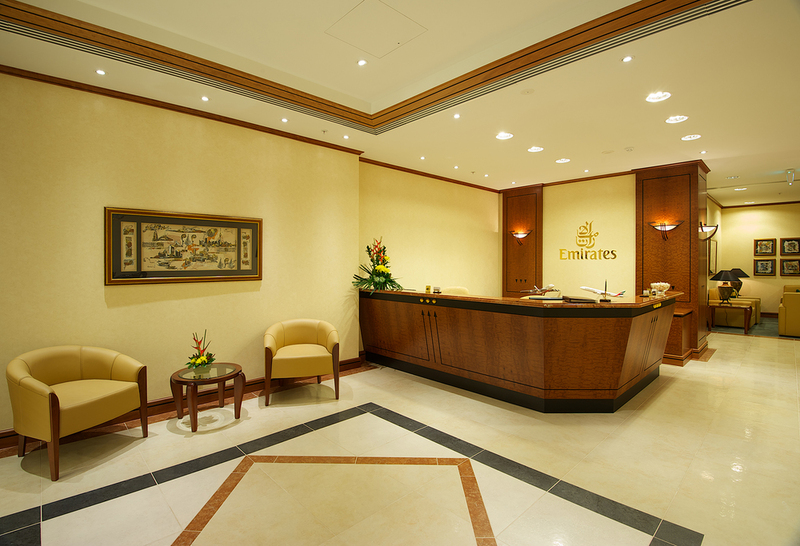 Emirates Lounges throughout the world are design to the same exacting visual standards, and Emirates ensures they are meticulously maintained. High quality leather is coloured to echo the sands of the desert, while planting and a water feature reflect the image of an oasis, softened by green carpet and beautifully figured pommelle makore timber veneer. Black granite, crema marfil and rosso alicante tiles round out the palette. Ignite became involved in the project to deliver the new Emirates Auckland Lounge project in early 2011. While the role was initially as support to an offshore company, Emirates Dubai quickly requested that Ignite carry out a full turnkey delivery. To best meet the client’s needs in the short timeframe, the project was managed through Ignite Managed Environments (ME) Limited. Ignite ME was given just 10 weeks to complete the project, as Emirates needed the lounge to be fully operational to give staff and passengers time to be familiar with the new layout, equipment and general operation before the start of the Rugby World Cup. Ignite met the deadline and Emirates relocated from the old lounge on level one of Auckland International Airport to the new lounge on level two in a seamless transition between 31 July and 1 August 2011.